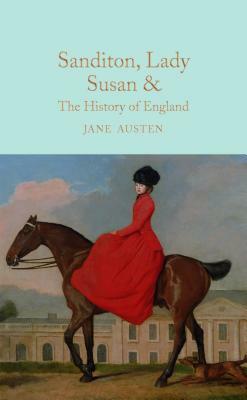 This collection contains several of Austen's childhood stories and some of her later unfinished manuscripts. The early works are full of biting satire, and it's interesting to watch her style develop from story to story. Having recently seen the film Love and Friendship (based not on the story entitled Love and Friendship, but rather on one called Lady Susan), I was interested to read the basis for that, and I see the film stayed pretty true to the writing. I loved the unfinished pieces The Watsons and Sanditon. It's a shame we'll never know how they would have concluded.